Now please keep in mind as you read this, in Ontario the setback is 550m from homes….and as you know IPC has encroached even on that!! I have been asked by Ms Katarina Dea Zetko to write to you, concerning the proposals to site large industrial wind turbines, 130 metres high, sited as close as 800 metres to homes in rural Slovenia. You are welcome to use this letter to educate others, and to make it publicly available. In my opinion, based on my first hand knowledge of what has happened to wind turbine neighbours in Australia and elsewhere internationally, this is a recklessly irresponsible and dangerous plan and will inevitably result in serious adverse health effects for citizens of Slovenia who are neighbours of such turbines, out to significant distances. This is happening around the world, and I know of no reason why Slovenian citizens will not have the same adverse health impacts being reported internationally. 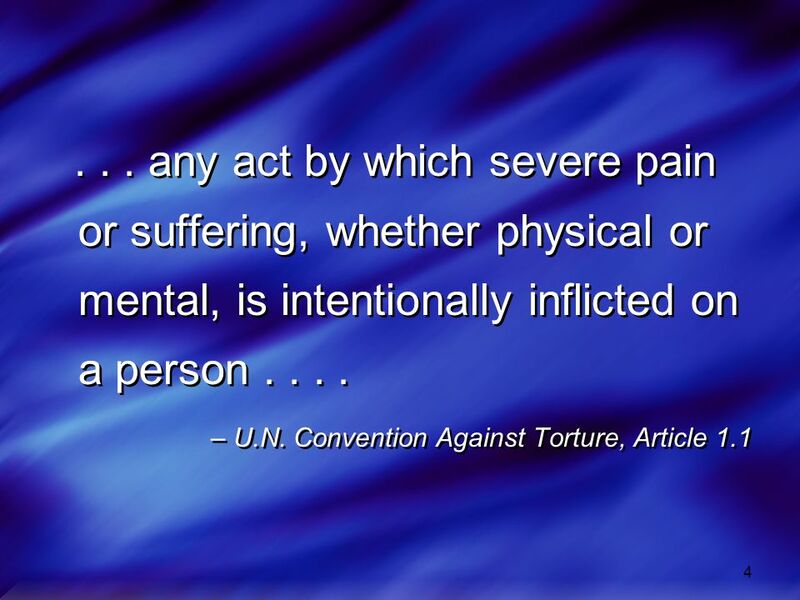 Decisions made by public officials to approve such an unsafe development, or to allow a development to continue to operate in spite of directly causing adverse health consequences such as sleep deprivation and “sensory bombardment from noise”, could be held to be breaches of the UN Convention Against Torture. Both “sleep deprivation” and “sensory bombardment from noise” have been acknowledged as methods of torture by the Physicians for Human Rights. TheUN Committee Against Torture has also specifically acknowledged that sleep deprivation is used as a method of torture. These accident statistics are copyright Caithness Windfarm Information Forum 2014. The data may be used or referred to by groups or individuals, provided that the source (Caithness Windfarm Information Forum) is acknowledged and our URL http://www.caithnesswindfarms.co.uk quoted at the same time. Caithness Windfarm Information Forum is not responsible for the accuracy of Third Party material or references. The detailed table includes all documented cases of wind turbine related accidents and incidents which could be found and confirmed through press reports or official information releases up to 30 June 2014. CWIF believe that this compendium of accident information may be the most comprehensive available anywhere. from 2006-2010 and so the figures here may only represent 9% of actual accidents. The data does however give an excellent cross-section of the types of accidents which can and do occur, and their consequences. With few exceptions, before about 1997 only data on fatal accidents has been found. The trend is as expected – as more turbines are built, more accidents occur. Numbers of recorded accidents reflect this, with an average of 10 accidents per year from 1994-98 inclusive; 44 accidents per year from 1999-2003 inclusive; 93 accidents per year from 2004-08 inclusive, and 149 accidents per year from 2009-13 inclusive. 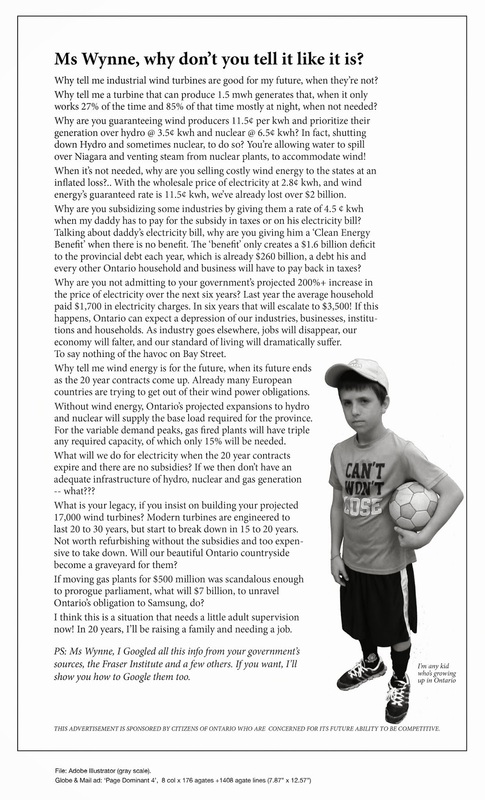 A town hall style meeting was held at Maple Hall in Port Elgin Thursday night on the subject of wind turbines. The meeting falls shortly after the one year anniversary the Unifor turbine blades started spinning it was fourth in a series of open meetings for continued education. The turbine meeting, which was hosted by Saugeen Shores Turbine Operation Policy (S.T.O.P) brought in two speakers with new theories and histories in the fight against wind power. Organizer Greg Schmaltz quipped “people are probably tired of hearing from him,” so he brought in some featured speakers from Toronto. 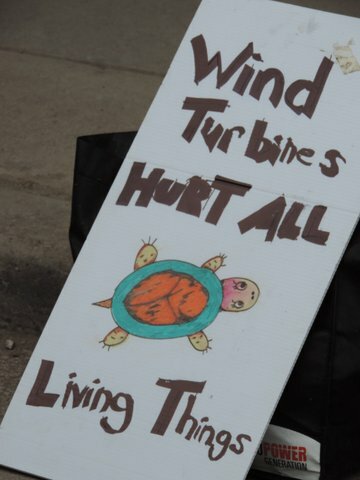 First to speak was Sherri Lange, the co-founder of Toronto Wind Action “whose claim to fame is that they beat the turbines on the Scarborough Bluffs down in Toronto,” said Schmalz. Lange is also CEO of NAPAW (North American Platform Against Wind). Dooley’s presentation showcased The McMauley Hypothsis about infrasound and how it causes tempera illness. He displayed acoustic data captured from Port Elgin homes showing the rate of the blade passing the tower in a pulse spectra analysis. “These frequencies of thumping are specific to each wind turbine”, said Dooley. Read rest of article here. First look at the MPAC study which is way OVERDUE! Stand by for reviews from the field. Houses that haven’t sold were not included in the study. Prince Edward County’s Field Naturalists will pay $40,000 in legal costs instead of $120,000 demanded by Gilead Power. The naturalists group has filed its submission to the Court of Appeal asking for leave to appeal the Divisional Court reversal of the decision of the Environmental Review Tribunal. Last July, the Tribunal revoked the approval of a Gilead Power wind turbine project at Ostrander Point Crown Land Block in the centre of the Prince Edward County’s South Shore Important Bird Area. There have been more than 20 appeals of Renewable Energy Approvals since the Green Energy Act came into effect in 2009. All but the PECFN appeal resulted in dismissals. “In allowing PECFN’s appeal, the Tribunal rendered a landmark and precedent-setting decision,” said Wood. Soon after the Divisional Court decision, Gilead Power announced its intention to start construction in April. PECFN brought an urgent motion for a Stay of construction and leave to appeal the Divisional Court decision to the Court of Appeal. The struggle to save Ostrander Point has gained a broader dimension since two other wind turbine projects in the area have been submitted to the government Registry (EBR) for public comment, she said. The White Pines proposal includes 29 turbines spread across private lands within the IBA surrounding Ostrander Point. Windlectric Inc. proposes 36 turbines spread across the Amherst Island’s natural areas. Residents of Amherst Island have applied to the Superior Court of Justice in Toronto for a judicial review of the Ministry of Environment’s approval of the application. They challenge the company’s claims that their plan has mitigated any harmful effects to wildlife and people prior to construction. The Appeal Court’s decision on the request to appeal may not be made until June. “In May, everyone will be enjoying one more spring migration and searching for emerging Blanding’s turtles along the South Shore firmly resolved to continue in the struggle to Save Ostrander Point,” said Wood. Cost Benefit - NOT, Direct Effects, ERT Appeal, fighting big wind. Two days after a controversial decision by Wainfleet township council to use taxpayers’ money to fund a private company’s legal battle against wind turbines, the company behind the turbines has been ordered to halt construction on part of its development. The order came from an environment review tribunal, which decided Thursday the renewable energy approval for two of Wainfleet Wind Energy’s five industrial wind turbines should be put on hold until the appeal by Skydive Burnaby is heard. On Oct. 7, the Ministry of the Environment gave Wainfleet Wind Energy an REA to move forward with the project. Two weeks later, however, lawyers for Skydive Burnaby owners Mikel and Tara Pitt appealled, saying that two turbines planned to be within 1.7 km of their facility would be detrimental to their business. In her decision Thursday, tribunal executive chair Lynda Tanaka said the motion for a stay of the renewal energy approval for the two turbines was granted until the appeal is decided. The tribunal is scheduled for three weeks in January. Wainfleet Mayor April Jeffs, who has continually fought against having turbines built in the township, called it step in the right direction. Tom Rankin, the president of Rankin Construction, which is a partner in Wainfleet Wind Energy, said the stay isn’t much of a setback. Jeffs, meanwhile, defended a decision Tuesday to have the township pay $40,000 of Skydive Burnaby’s legal bills. Though it wasn’t originally on the council agenda, a procedural bylaw was waived to allow Tara Pitts to make a presentation to council requesting the money. She said the idea for the public support came from Lambton county council making a similar decision recently. “It was time sensitive because our original understanding of what our legal fees would be and what they ended up being were two different things,” Pitts said. Jeffs, Ald. Betty Konc and Ald. Richard Dykstra voted in favour of granting the funding while Ald. Ted Hessels voted against the idea. Ald. David Wyatt wasn’t at the meeting. He said he’s concerned with how it might look that a decision was made Tuesday night without the public knowing it was being discussed. “We haven’t heard from the people on which way to go. You know there’s opposition to it,” he said. Jeffs said she knows not everyone will agree with the decision. Approval halted on two Wainfleet turbines | Welland Tribune. Falmouth’s wind turbines will return to their 12hour operation following an agreement reached between neighbors and town officials in Barnstable Superior Court yesterday. The agreement is tied to Neil P. and Elizabeth Andersen’s claim that the town’s wind turbines constitute a nuisance, which was affirmed by the Falmouth Zoning Board of Appeals in May. The town has since contested that appeals board decision in superior court with initial proceedings held in September and an ensuing one held last month. Prior to yesterday’s hearing, Falmouth selectmen had decided in a 3-2 vote to increase the operation of the turbines from their 7 AM to 7 PM model to one in which the machines would be operating from 5 AM to 9 PM as a way to generate enough revenue to cover the town’s expenses. But that changed yesterday when Barnstable Superior Court Judge Christopher J. Muse directed both parties to engage in discussions to determine if there was any agreement on a temporary plan of operation of the turbines while the two sides work toward a final settlement. Town counsel Frank K. Duffy Jr. and selectman Rebecca Moffitt, representing the town, came to an agreement with the Andersens’ attorney, J. Alexander Watt of Barnstable, and Christopher Senie of Westboro, who is representing several neighbors as parties in the case. As part of the agreement, the town will also direct building commissioner Eladio R. Gore to devise a plan to eliminate the nuisance. The first step in that plan will be to begin acoustic testing in a variety of conditions, with one turbine running and both running at various times. While progress has been made toward a final resolution, Mr. Senie said nothing has truly been settled. “There really isn’t any agreement that has been reached. There’s been a consensus that we should take a look at a possible global settlement of [four] different pieces of litigation. We have a long road to travel to get there,” he said. Those four lawsuits, he said, include yesterday’s as well as two separate nuisance claims against the town, one brought forward by the Andersens and another by his clients, who live near the wind turbines. The fourth lawsuit is an appeal of Barnstable Superior Court Judge Robert C. Rufo’s decision in June that Mr. Gore did not need a special permit from the appeals board to erect Wind 1, which became operational in March 2010. In order to reach a final settlement, Mr. Duffy wrote in an email this morning that the neighbors will have to submit a list of proposed actions to the town that they believe will end all outstanding zoning and nuisance claims. That list will be discussed by selectmen once Town Meeting concludes next week. Both parties will report on the status of negotiations to Judge Muse by Thursday, November 21. Town agrees to reduce operating hours of turbines; Issue far from over as final settlement still must be reached. What Is All This Fuss About Wind Energy and Turbines? A wind turbine caught fire Tuesday afternoon in Ooltgensplaat on Goeree-Overflakkee, costing the lives of two mechanics.Four mechanics were at work in the wind turbine on the Mariadijk, about 80 meters above ground, Tuesday afternoon. By a cause, yet unknown, a fire started in the engine room. Because of the height the fire department initially had trouble extinguishing the fire in the engine room. In the evening, a special team of firefighters went up with a large crane, and found the body of the missing man. The cause of the fire is unclear. The identity of the victims has not been disclosed. The Inspectorate for Social Affairs, formerly the Labour inspection, commenced an investigation. An eyewitness reported to RTV Rijnmond she saw two mechanics sitting on the tip of the turbine. She saw them jump through the fire toward stairs.